Yesterday I posted about my new engine, and today I got some images from my conversion of my old Tamiya TGX Mk.1. As you know I’ve tried to upgrade this car for a long time and I’ve tried it out with my brushless 3300kn and 2S Lipo and it wasn’t much power. It topped at 30KM/H and I wanted more. Hopefully with my new Mamba Monster I can get it to properly run. First I thought I could use the old spur gear, and that I just had to buy a pinion gear, but my buddies at SamiRC recommended to switch both the gears and to check if there where other plastic gears in the car. This was to avoid that the teeth of the fears would be brushed away by the powers of the Mamba. So I ended up buying a Integy 8573 Steel 0.8 Spur Gear 50T originally for the Slash/Stampede 4X4 and a 3-pack with Novak 5161 Steel Pinion Gear 5mm 32P 15T/16T/17T. As the old pinion I had didn’t fit the 5mm shaft of the Mamba. In the image below you can see the huge Mamba Monster engine. It took some adjustments before I could get it to fit. Another problem was that a lot of the screw threads for mounting the engine where all broken. So only three of them could be used and they didn’t fit all in the holes that I had. So for now the engine is only held in place by one tight screw. You can also see that the pinion gear is just long enough to reach the spur gear. Not optimal, but it was the best I could do. At least with not making new holes. I guess you might wonder how it went driving with this set-up. Running only on 3S Lipo went great. No problem there except some hick-ups with the throttle, but I thinks that was because of the Spektrum receiver I used. As it’s not properly set up. It went faster than with the earlier setup with 2S Lipo, but it didn’t go fast enough for me. Not sure if it even reach 50KM/H as my stock Maxam does. Plus I know that the Mamba Monster is capable of over 100KM/H, so that is my goal. The day after I took it out to try it with 6S Lipo. This didn’t go as well. The 50 first meters went good, with nice acceleration and speed, but when I turned it didn’t react to my throttle. I could hear the engine working so I knew that something inside was broken…I expected my worst fear that the diff was broken because of the massive power the Mamba produce. Luckily it was not the diff that was broken. They looked as good as new. It turned out to be my fix of the part that transfer the rotation from my spur gear to the diff. The black plastic piece you see behind the gear in the image above. So now I’m working on a better solution to keep it all in place. I’ll try to take some photos from the old and new solution later. As for now it’s all in pieces on the table. I’m so glad I bought a mat to keep my RC car on. 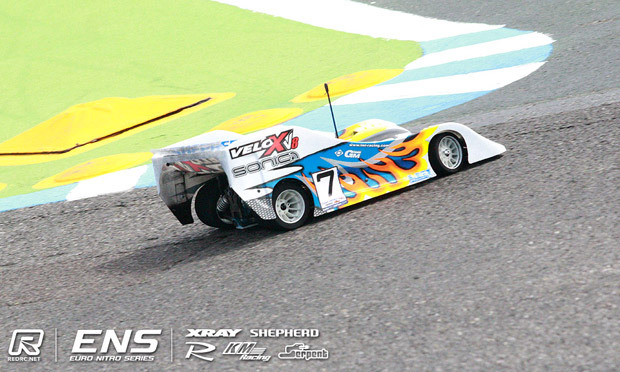 I got this car, a Losi 1/24 Short Course Truck (SCT) a week after I bought the ECX Smash. And since then I’ve bought a lot of extra stuff for it. Originally it was defect with a brushed engine. It nearly worked, but I quickly ordered a a new brushless engine on Ebay. I also went to the local RC store and bought a set with pinions gear. found out later that I already had a pair laying around, plus there where some that was in the package the car come in. So now I have a lot of them. What you see underneath is not the SCT edition, but the Truggy. It got bigger wheels, a cool spoiler, and a lot smaller space under the “hood”. The bigger wheel made the Losi run a lot better outside, but the hood was a bit cramped to keep all the electronics inside it. So now I’m back to the SCT body, but I modified it to use the same big wheels! So on to my next car. You may remember my Nitro to Electric conversion of the old Tamiya TGX MK.1? I finally bought a proper engine too it, the Mamba Monster v.1 which I found on Finn.no for a fair price. A week later this package arrived at my local mail store. It was pretty heavy, and it was several reasons for that. Mostly because the guy that sold the engine wanted to get rid of his two cars too. So I got them too. Plus some other stuff. As you can see it was fairly well package. With a lot of paper. He even sent me his old tool-kit which has been wonderful! And I use it every time I work on my cars. Plus some spare parts. There was even a light controller (I think it that). Here are some more images of the car. The body is a bit to big, and after some Googling I found out that it is supposed to look like this (it’s a fuel car, what a coincident). Too much air around those wheels for my taste. The other car he had sent was a Sakura Zero by 3Racing used for drifting. Sadly it is missing way to many parts. So I’m just going to scrap it. Probably saving every part in a bag. A couple of weeks ago I visited my local comic book store to play some Heroclix. And they had gotten two new giant Lego figures!